It seems that us Brits have firmly established a long term love affair with Asian beauty brands, as more and more are becoming readily available here in the UK. Masque Bar are one such example and they swiftly arrived in Boots late last year. I love sheet masks but rarely find many British based skincare brands who sell them (and if they do, they're usually quite pricey). Truth be told, if you want to find a good sheet mask, you need to find an Asian beauty brand first because they really excel at making those and often sell them at more affordable price points too. 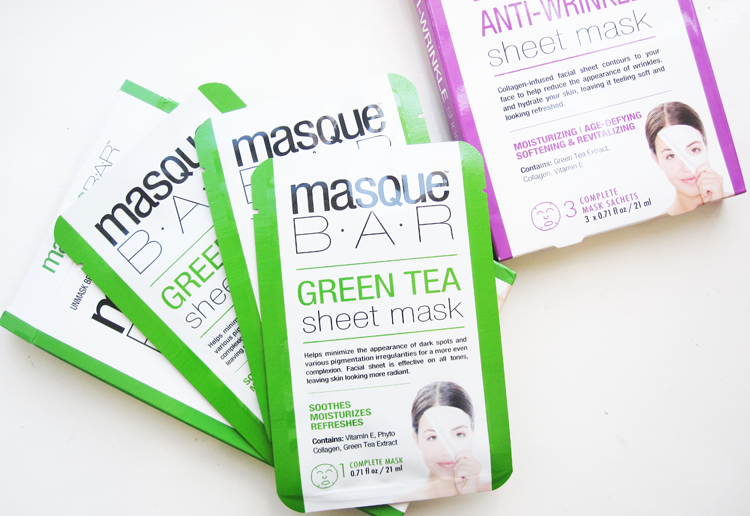 Masque Bar are a Korean based brand who I've been introduced to recently. They have a small but perfectly crafted range of face masks which come in different formulas and formats. I've tried their Anti Blemish Mud Mask in the past which was good, but it's their sheet masks which I really highly recommend checking out. If you're looking for a face mask to help even out your skin tone and reduce the appearance of dark spots and pigmenation areas, then this is the one for you. Not only does help with those, but it also brightens dull complexions and leaves skin looking more refreshed and awake. Enriched with Vitamin E, Phyto Collagen and Green Tea Extract, you simply take the sheet mask out of the sachet and apply to cleansed skin for 20-30 minutes. I found that it fitted my face well (though the chin area is a little large!) and had a lovely cooling sensation to it. The sheet mask had enough formula soaked into it to 'work' as such, but not so much that it was dripping everywhere like I've experienced with other brands. After the time was up, it came off easily and my skin looked clearer and more glowy instantly. I'd recommend this one for mornings after a heavy night out or the evening before you have a big job interview or meeting. Luckily I haven't yet reached that stage in my life where wrinkles are a primary concern for me, however I do enjoy using anti-wrinkle formulas because they generally work well for hydrating the skin which is ideal for keeping my often dehydrated complexion in check. These ones are a good option for that purpose as they are very moisturising and infused with Collagen and Vitamin E to keep skin looking plump and healthy. Like the Green Tea variant, I applied this one for 20-30 minutes and gently massaged in any excess product like a moisturiser afterwards. My skin was left feeling ultra soft and smooth. 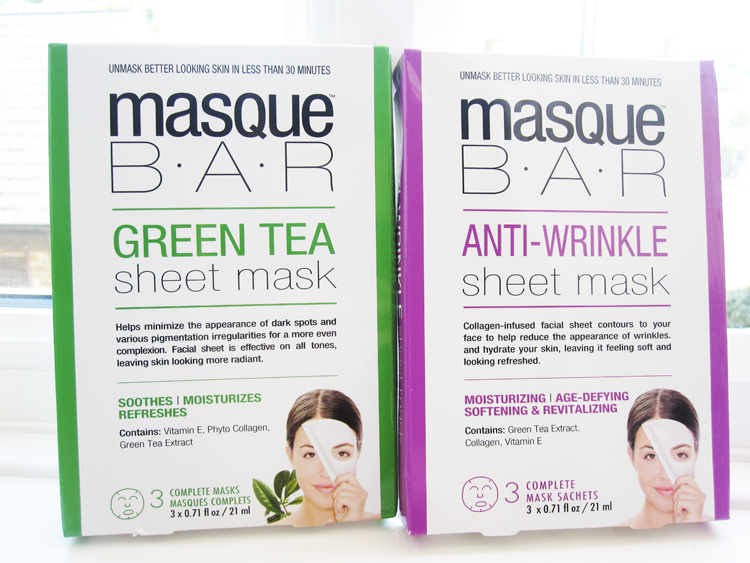 Have you tried any face masks from Masque Bar?